Since a 2009 Metro train crash killed eight people, officials at DC’s transit agency have pulled out all the stops to prioritize safety — well, except one. According to Ben Ross at Greater Greater Washington, the agency has spent more than $1 billion to comply with every single recommendation from the National Transportation Safety Board in response to the 2009 crash. But he notes that the NTSB recently issued another safety recommendation that could save more lives: a ban on cell phone use while driving. 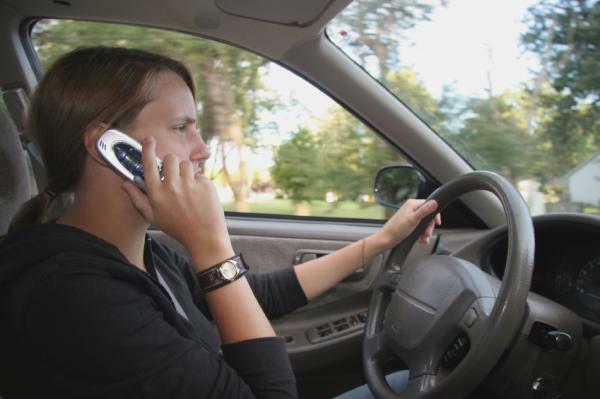 Last December, the federal agency recommended a complete ban on the use of portable electronic devices such as cell phones (hand-held and no-hands alike) while driving. Yet none of the jurisdictions in the WMATA compact area has taken any action to comply. While the safety problems on Metrorail that came to light at Metro after the 2009 crash are very real, by far the most dangerous part of a Metro rider’s journey is the walk to the station or bus stop. A total of 854 pedestrians were killed by drivers of motor vehicles in the Washington area between 2001 and 2009. There are no statistics on how many of the 854 pedestrian deaths cellphone use contributed to, but anyone who watches drivers at busy intersections knows that it has to be a significant fraction. For Metrorail, the eight passengers who died in the Fort Totten accident were the only fatalities in this period. Implementing this NTSB recommendation is mainly up to the two state legislatures and the DC Council. But Metro itself can lead the way. Under Article 76(e) of the WMATA compact, Metro’s board can adopt regulations for traffic on Metro’s facilities. Metro should act on its own to ban cellphone use by drivers of moving vehicles in garages, kiss-and-rides and other Metro property. Elsewhere on the Network today: The Kansas Cyclist reports that a new bike sharing system is now live and operational in Kansas City — it’s small, but it’s a start. UrbanCincy reports that after shrinking for decades, the Queen City’s population might finally be stabilizing, according to new Census estimates. And following the announcement that California will proceed with high speed rail plans, the Political Environment again rues Wisconsin Governor Scott Walker’s short-sightedness in refusing rail money that will now stimulate investment elsewhere. Has the NTSB Made a Single Recommendation on Bike Safety Since 1972? Will Federal Oversight Help or Hinder DC Transit?